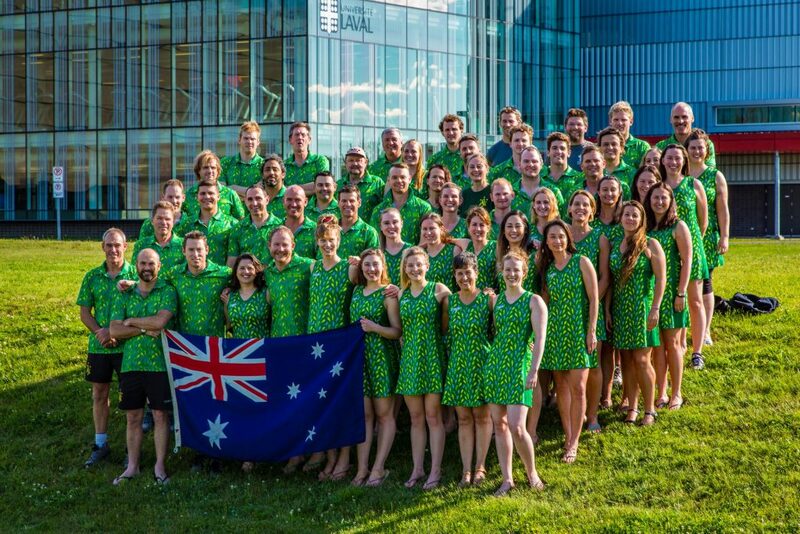 Australia was well represented at the 20th CMAS Underwater Hockey World Championships held recently in Quebec, Canada, fielding teams in all four divisions (Elite Women's, Elite Men's, Masters Women's and Masters Men's). 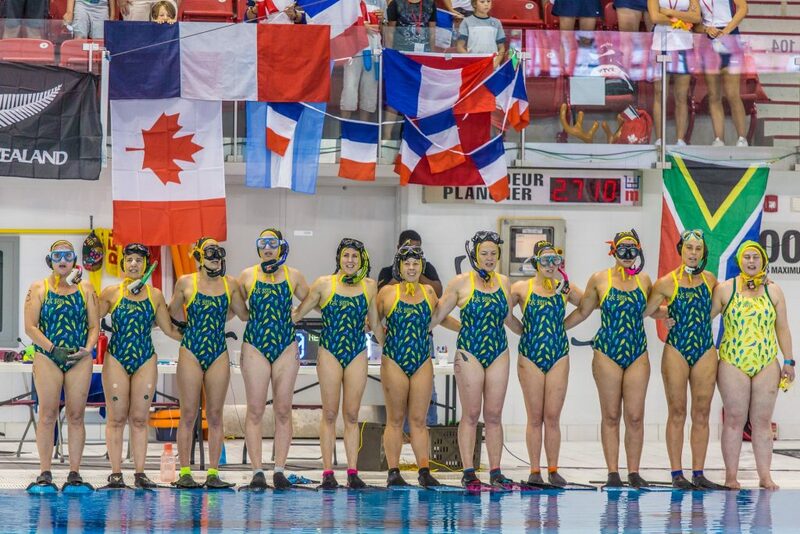 The event, which ran from July 19 to 29, saw more than 600 players and officials from 16 Underwater Hockey playing nations converge on the beautiful French Canadian city for two-weeks of high intensity competition. The Masters Women's team were the best performed of the Australian contingent, returning with silver medal, after playing France in the World Championship game. Following solid performances in the round robin the team entered the knock-out stages as the third seed and proceeded on a charmed run into the championship game, a 6-0 win over Argentina in the quarterfinal was followed by a gritty 2-1 win over Colombia in the semifinal. The Australian women started the World Championship game strongly, attested by the 1-1 halftime scoreline. With the game well and truly in the balance, the early stages of the second half was hotly contested but as players began to tire, the French team's fitness began to tell. A number of quick goals to the French put the result beyond doubt. The 6-1 final scoreline was bolstered by a number of late goals to the French. The other three Australian teams did not fare quite as well. The Australian Elite Men's team finished the round-robin as the 3rd seeded team in Group A (with a W-D-L record of 4-1-1) but suffered a nail-biting 1-2 loss to Turkey in the quarterfinal. They went on to finish the competition in 7th place after defeating Spain 3-2 in the 7th v 8th play-off game. The Elite Women and the Men's Masters teams both finished the competition in 6th place. The Elite Women sat as the third seed in Group B at the conclusion of the round-robin (with a 3-1-2 record) but suffered a 3-5 defeat in the quarterfinal at the hands of a strong South African team. Their final standing following a gallant 0-2 defeat in the 5th v 6th game against the French women. The Masters Men's team was defeated by GB 0-1 in the quarterfinal. The Australian teams were accompanied by a significant support contingent, headlined by team managers Andrew Robert-Tissot and Mike Martyn as well as the exceptionally hardworking physio team of Nick Stepkovitch, Jolanta Lewandowska, Marleen van Gastel, Katie Turner and Marlissa Dijk. A complete list of results and the final standings can be viewed online at https://uwhscores.com/t/worlds2018 and replays of all championship games can be streamed online at https://www.youtube.com/channel/UCnOBvfJcIdm9QeKn7zdECNA. The next CMAS Underwater Hockey World Championships for the Elite and Masters divisions will likely be held in Australia in 2020.